Life of Pi 3D (matinee on New Car Day!) – I was hesitant to get excited about this because I loved the book and couldn’t figure how they would make it work. But I knew I would see it and it was getting such great reviews that I went at the first available opportunity – and in 3D! The movie didn’t disappoint. Wow. It was true to the book, beautiful beyond words to see, and wonderfully told. Just wow. The 3D was not overly much and I actually forgot that I was wearing the glasses after a while. Yay! They didn’t ruin it! Hysteria – 1880s London, “repressed women,” an inventor who works on “stimulation” using electricity… an interesting portrait of a time! Salmon Fishing in the Yemen – I’ll admit it: I didn’t really watch this one. It didn’t capture my attention. So it was on and I was in the room but I was doing other things. Take This Waltz – Kind of a sad little story. Sweet quirky couple; she falls in love with someone else. Bummer. At the end I think she wishes she hadn’t. 3o Minutes or Less – Mindless viewing during preparatory relaxation for working overnight. Not horrible. Stupid criminals..
Hung – I’ve watched as many seasons as are available. Getting a little old and out of control. The Best Exotic Marigold Hotel – I’ve seen this but it’s worth a re-watch. Still in the envelope at home. Damsels in Distress – Also still in the envelope… looking forward to seeing this one! I haven’t watched anything on Netflix instant in a while. On Thanksgiving Day we all huddled around the TV/computer at Mom and Dad’s and watched the Thanksgiving episode from Cheers. That was a lot of fun. I would like to watch all the Friends Thanksgiving epidsodes in a row… anyone have all the seasons? I also have some Christmas musical concerts – Harry Connick, Jr., Trans Siberian Orchestra and Tonic Sol-Fa – that get brought out and played during the season. Have any that you think I should add to my list? A more realistic view of work/social/holiday fun has me paring down my list of movies that I will see in the theatre during this holiday blast. My prior list included Cloud Atlas, Chasing Mavericks, Hyde Park on Hudson, Playing for Keeps, and The Impossible. Those movies will probably not be viewed by me in the theatre, although a girl can hope. I’m very bummed to read that Playing For Keeps is showing up VERY rotten in the Rotten Tomatoes ratings. 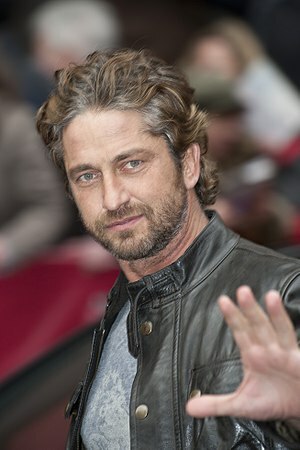 Because, Gerard Butler! That may be a guilty pleasure I indulge in despite my better judgment. I’ll keep you posted. Anna Karenina – although it didn’t get a rave review from my “guys,” because it is theatrically staged rather than locationally shot. Interesting choice. I will also have to rent some of the other versions afterwards. Sounds like a good winter project. This is 40 – already making plans to see it in January. Gonna plan some kind of “theme” to go with it – a 40th birthday party for us all? Les Miserables – also have a date to see this picked out and a group to go see it with! Excited to see this as well. The Fitzgerald Family Christmas – it’s available On Demand so I’ll watch that – may become a tradition to add to my list above! Silver Linings Playbook – sounds right up my alley! How about you? Any movies you can’t wait to see? This entry was posted in Movies! and tagged film footnotes, Friday, Gerard Butler, Harry Connick, holiday movies, Judd Apatow, Life of Pi, mini reviews, movies, Netflix, Paul Rudd, Tonic Sol-Fa. Bookmark the permalink. Great summary of Life of Pi WTBC – exactly the same as my thoughts towards the film – also agree the 3D was enriching and not in any way gimmicky or obtrusive. I think Life of Pi set a new standard here. I wouldn’t mind seeing it again, but probably will settle for Blu-Ray at this point. But I loved the intro to the movie! Seeing the zoo was amazing… and forgotten by all that happens after!